Could you use extra money each month? Could you use extra money each month? Who couldn’t? Americans have way more expenses each month than they did 20 year ago. Things like cell phone bills, Netflix, Amazon and internet bills are higher and more prevalent these days. With the slow wage growth over the past few years and more people working multiple jobs people are struggling to save any money and often find themselves behind each month in paying down bills. As a financial advisor I have met with countless people who struggle each month. After looking at their monthly finances and building a budget it becomes apparent that changing a few simple things and paying certain debt off faster than other debt can help them get to a point where having some extra cash each month is a possibility. 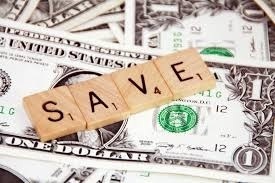 Here are some ideas to help reduce monthly bills and get you on your way to saving a few extra dollars each month. Negotiate your cable/phone bills - When you sign up initially you are often given a promotional rate. Few people take the time to call the provider back when that promotion ends. By taking a few minutes on the phone and calling your service provider and just telling them you can not afford the new rates could help your monthly bill significantly. Service providers are in the business of “providing service”, it is cheaper to retain a client than get a new client, so they are willing to help you by giving incentives to stay with them. Make sure you do your homework and provide them with their competitions prices, so you have ammo to support your claim to change providers if they can not help you. You must be willing to walk away and do business with a competitor. And remember being polite can go a long way, great customers are generally rewarded. Utilize coupons/promo code – Coupons have been around as long as businesses have been trying to get people to be their customers. You may have to do some looking around but finding a good coupon can save you extra money on each transaction and over time that money will add up. Join a savers club – A lot of stores offer frequent shopper clubs and give you the ability to save certain percentages on purchases. Some even offer rewards for purchasing with those stores. A lot of credit cards offer deals to consumers as well, weather it is reward points or cash back bonuses. Take some time to get to know what rewards your credit card offers. If they don’t offer one, find a card company who does. Even the smallest reward can benefit you in a big way over time. Pay higher interest debt down first – If you have a lot of credit card debt and carry multiple cards that have recurring balances each month. Find out which of the cards have the highest interest rates and pay more towards them. Credit card interest is accrued daily and the higher the balance the higher the interest you will be paying. Focus paying more than the minimum payment on these cards till they are paid down. For example, if you have 2 credit cards each with $2000 balance and one card is 14% and the other is 6%. Put more money towards the 14% interest card each month till it is paid off. A minimum payment is there for a reason, and that is for the card company to make more money by accruing more interest. Don’t be afraid to cut up that card once its paid off either. Credit card debt is a huge expense for people these day. Transfer balances – As per my example above, if you have a credit card that is 14% interest, see if you qualify for balance transfers to other cards that have 0% or 1-2% interest on balance transfers. Only use this card for the balance transfer since a lot of cards will charge more on additional purchases. Do your homework and make sure you understand how the card works and how the interest works, 0% for a period of time may just mean they defer all the interest till the end if you don’t pay it off in time. Utilize the spirit of competition and play these credit card companies against each other. You may even be able to call your current card company and negotiate a lower interest rate for a period of time. Sometimes picking up the phone and calling can make a big difference. Have a few more meals at home – It seems everywhere you turn these days there is a new restaurant and more and more people out to eat each day. Depending on where you live the cost of eating out each day can vary and its never cheap. If you eat out multiple times a week for different meals, try having that meal at home or taking your lunch to with you. A few times a week of changing the eating out habit can save hundreds if not thousands each year. Drink water – The average cost of a soda or ice tea when you go out to eat is around $2.50. If you drink one with each meal, depending on how many people are eating, that puts an added cost to each meal anywhere from $2.50 for 1 person to up to $10 for a family of 4, and if you’re a generous person you’re now tipping the server on that amount which is adding even more out of pocket expense. Water is free and better for you. And while you’re at it if you get coffee each morning, try skipping that a few days a week or stop it completely. If you pay $2.00 a day for coffee times a 5-day work week you’re looking at $10 a week over 52 weeks a year that is $520 in coffee you’re spending. You can make your own coffee, and have it go a much longer way by not stopping in the local convenience store. Quit the bad habits – I know its hard to do, but for the health of your wallet as well as your body giving up tobacco or vape can be a big savings to you. Depending on how much you smoke, vape or chew you could be looking at savings of $20-$50 a week. These are just a few ideas on how you could save potential a few hundred dollars a month in bills and have some extra money to put aside for savings, vacations, retirement, college, or holiday spending. The key is discipline and taking the time to make an effort. No one will change your bills unless you ask them to. No one will negotiate on your behalf and no company is out to give you anything for free. Its capitalism at its best, but you can be just as cunning by adhering to a few little tricks and save yourself money in the meantime.